This December, we are all about enhancing your holiday shopping experience here at Greenhouse Garden Center. We are happy to offer expanded evening hours: Monday through Saturday 9:00 AM to 5:30 PM. Come join us, enjoy a cup of wassail and shop amongst our 26 themed Christmas trees for one-of-a-kind ornaments featuring everything from snowy owls to Mark Roberts fairies. Don't forget our wreath making class on December 3rd. We are offering TWO sessions. Our gift shop is fully stocked with Christmas accessories perfect for all of your holiday entertaining. The year, we are once again featuring fresh cut Norland, Grand and Noble Firs. We also have a great selection of evergreens suitable for a living Christmas tree. The January Landscape Design Workshop For The Homeowner is filling up fast. 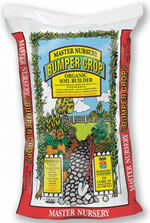 This is a great gift that keeps on giving and guaranteed to provide years of gardening enjoyment and success. Come in or call to reserve your spot. We are very pleased to have the award-winning DHS Douglas Dynamics join us on Saturday, December 10th for a Christmas concert between 11 AM and 12:30 PM. Remember, any time you make a purchase up to December 10th you are eligible to enter the drawing for the $100 gift certificate giveaway. December and January are the gardener's time to pause and reflect on what worked and what didn't last season and to make plans for the next growing season. We encourage everyone to think about trying something new. Greenhouse Garden Center is committed to continuing our efforts to expand our organic lines and promote organic products to our customers. With this year drawing to a close, we would like to take time to reflect on just how very thankful we are here at Greenhouse Garden Center to have such loyal and inspired customers. Our wishes for a restful holiday season and a great gardening year to come. Workshop, "Decorate A Holiday Wreath", TWO Sessions: 11 AM & 1 PM; $50 Fee (includes artificial wreath, floral picks, lights, and ribbon), Reservations Required, Limited to 16 total. DHS Douglas Dynamics Singers, 11 AM - 12:30 PM. Winning raffle ticket will be drawn during the performance. YOU MUST BE PRESENT TO WIN. The time is here to reserve your spot for our Annual Landscape Design for the Homeowner Workshop. This weekend workshop is only offered once a year, and is limited to 16 participants. It fills up fast. Water the tree thoroughly before bringing it into your house. Place a saucer under the tree to protect the floor or table. Place the tree outside after Christmas, unless the temperature is below 15 degrees. Then place the tree in you garage until the temperatures meet or exceed 15 degrees. You should love the tools you use every day. Bahco pruning tools have been ergonomically designed and tested for comfort, less fatigue and greater efficiency. Choose from bypass pruners, loppers, saws, snips and scissors, and sharpeners. Greenhouse Garden Center has all of these choices, and more, to make your special gardener's day. Are you planning a vacation? The Plant Nanny is the perfect product to provide water to your houseplants while you are gone. Choose from the above options and recycle a wine or water bottle as your reservoir. Plant Nanny is also available in a decorative hand-blown glass globe that makes a perfect gift. Hestra Gloves is a family run business started in 1937 and now in its 3rd generation. The rose glove is of durable goatskin construction, with a long cow split leather cuff for added thorn protection. Greenhouse Garden Center has sizes ranging from extra small to extra large. Check out our versatile gardening glove with a durable goat leather in palm and reinforcements. The back hand is made comfortable with a breathable padded spandex. Our fall statuary order from Massarelli's has arrived and Leo the Lion is going to be unleashed in time for Christmas. The monkeys are excited and ready to grace that special someone's flower garden. A nice selection of military memorial statues has just arrived as well. In addition, we are fully stocked with beautiful fountains of all styles and sizes, birdbaths, statuary and ceramic planters. Greenhouse Garden Center is pleased to have an extensive collection of unique bird houses - many made in Nevada. In addition, we carry Wild Delight premium bird seed. If you love to watch the quail in your back yard, try the Quail Block. You will also find decorative suet feeders, high energy suet - and don't forget the Bird Bath De-Icer so that the birds have access to fresh water. Enjoy the sound of your favorite music while you are gardening. The Sol Sound Solar and Bluetooth Rock Speaker blends in perfectly with the landscape and is water resistant. Stream music from 50 feet away on a 4" full range high intensity speaker for up to 10 hours of play time. Secure your home with the Solar Security Video Camera & Floodlight. This system features a high definition video camera capable of capturing a face, in color, up to 40 feet away during the daytime and 16 feet away at night. The camera and floodlight are motion activated. No electricity is needed, it's weather-proof and - best of all - easy to install. Miniature gardens can range from the classical to the whimsical, and Greenhouse Garden Center has virtually every accessory you might need to create your own miniature garden. Don't forget the Bonsai figurines, the perfect way to finish off your Bonsai planting. Stumped for a cute stocking stuffer for that special gardener? Greenhouse Garden Center is fully stocked with the 2017 Botanical Interests Seed Line. A gift certificate from Greenhouse Garden Center is a gift that can be enjoyed any time. There is no expiration date. They are available in any amount, and good any time, anywhere, for anything that is in stock - including sale merchandise and also including our gift shop. Many people stay away from Brussels sprouts, because they feel they are bitter and not a dish you could serve to guests. WRONG! Brussels sprouts are a delicious accompaniment to any dish, if prepared properly - and they are so easy to do! Boil a package of Brussels sprouts in one cup of water with 1 tablespoon of vinegar and one teaspoon of salt. Allow to boil until the sprouts are tender. Once tender, the vinegar and the salt will remove any bitter taste. Place sprouts in a skillet with one stick of butter, and allow the butter to melt and to infuse the sprouts. After 15 minutes on medium heat, cover the sprouts with grated mozzarella cheese. Cover and cook on low heat until the cheese melts. Serve and watch the sprouts disappear!